Be on cloud nine with today’s tutorial! This craft is perfect for adding a touch of cuteness to your home décor and it’s super trendy too, featuring a colourful flower crown. For this make, we’ve taken the amazing Simply Creative Glitter Felt and teamed it with the trendy First Edition Unicorn die set – both are super versatile but work so well for this adorable project. This is so easy to create with just a few die cuts and our free template – you’ll be well on your way to creating your very own adorable cloud wall hanging in no time! 1. 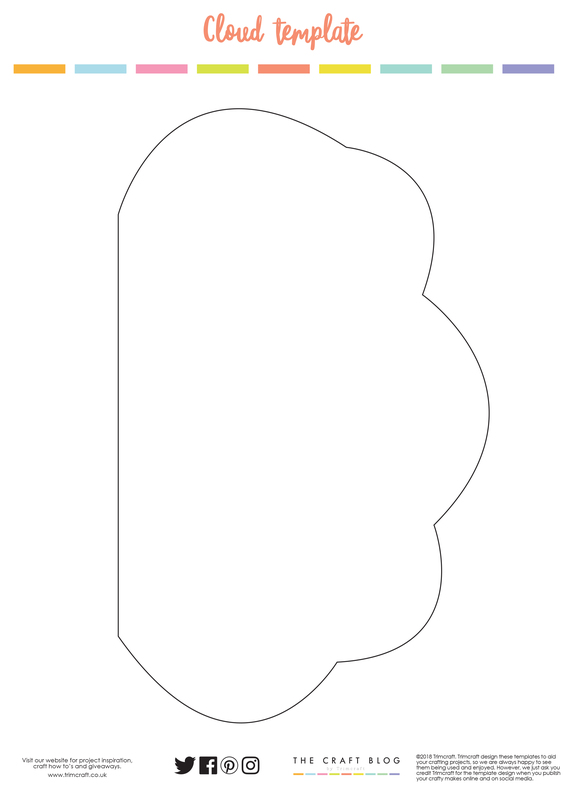 Download and print your free template and cut out your cloud shape. 2. Take a piece of shimmery white Dovecraft glitter felt and use your template to cut out a cloud shape from it. 3. Take your First Edition Unicorn die set and cut out a range of flowers from coloured and glittered cardstock, and arrange the flowers on the cloud shape to create a flower crown. Add Simply Creative gems for added decoration. 4. Cut out the rest of the cloud’s feature using the First Edition die set from cardstock. Adhere these to the cloud shape. 5. Create twos holes in the top of your cloud shape and thread through a length of wire in order for you to hang it around your home! 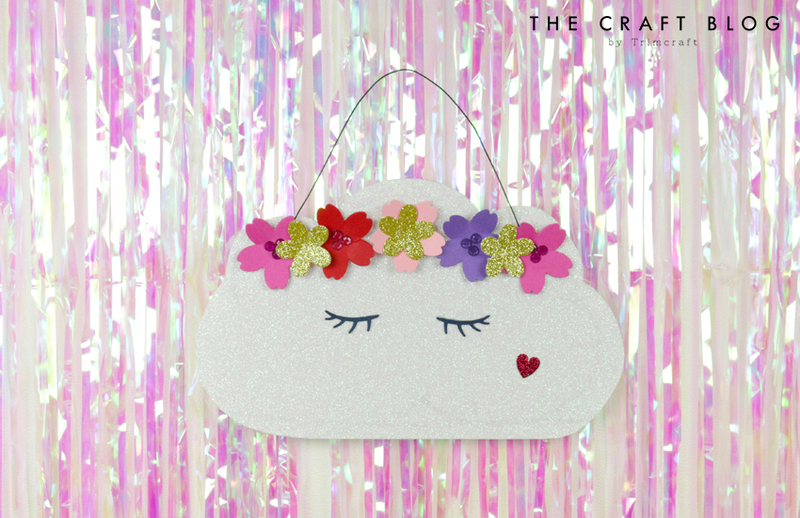 Will you be creating your own adorable cloud décor? Don’t forget to share your projects in the Inspiration area and to #trimcraft when uploading to social media if you do as we always love to see your projects!